Every weekend I have decided to share a recipe of a meal that I have loved whilst on the Slimming World plan. When I am eating healthier I sometimes get bored of eating the same meals over and over, so I have been making sure I try out a few new recipes each week. Last week I shared my chicken fajita recipe and this week I made BBQ pulled pork in my slow cooker, it was syn free and delicious. 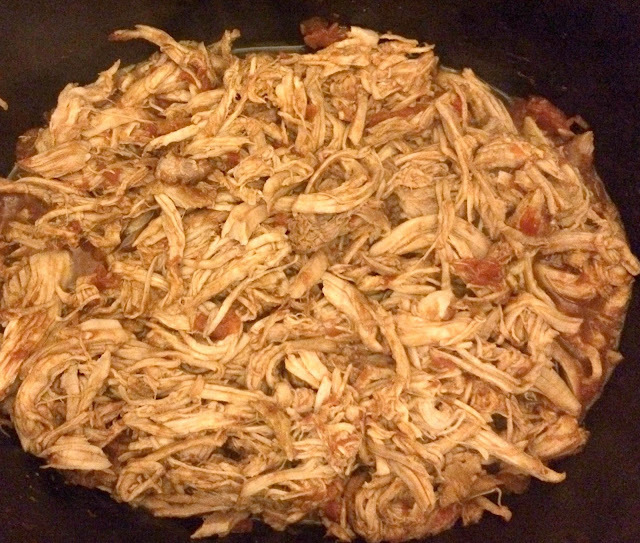 I removed all the fat off my pork joint and put it into the slow cooker. In a bowl, I added the passata, garlic, Worcestershire sauce, mustard powder, balsamic vinegar, sweetener and salt & pepper and mixed it all together. I then poured the sauce mixture over the pork making sure the pork was coated in the sauce. I then cooked on low in the slow cooker for 8 hours. When it was ready I removed the meat from the slow cooker and shredded it with two forks on a chopping board. I then added the meat back into the slow cooker and mixed it in with the remaining sauce. 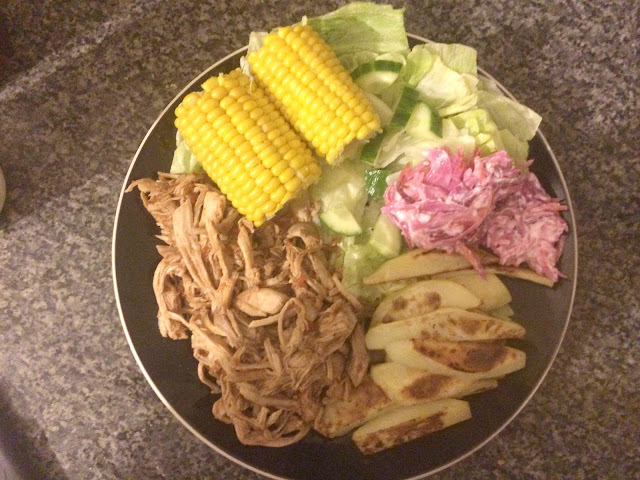 I served my BBQ pulled pork with slimming world chips (parboil chips for 5 mins then drain and transfer to a baking tray sprayed with fry light and cook for 30-40 mins in the oven). I also had salad, corn on the cob and pink slaw mixed with quark to make a coleslaw. 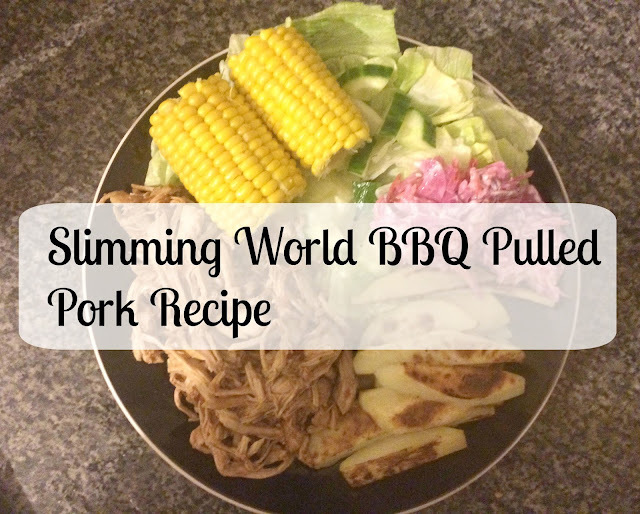 I really enjoyed this meal and found it really tasty, really filling and so simple to make. My teen loved this meal too but my partner did not like it at all. I could not believe this meal was syn free as it tasted too good to be healthy! As long as you remove all the fat from the meat it is totally syn free. I will defiantly be making this meal again. Have you tried this meal before? If so let me know what you thought in the comments below.